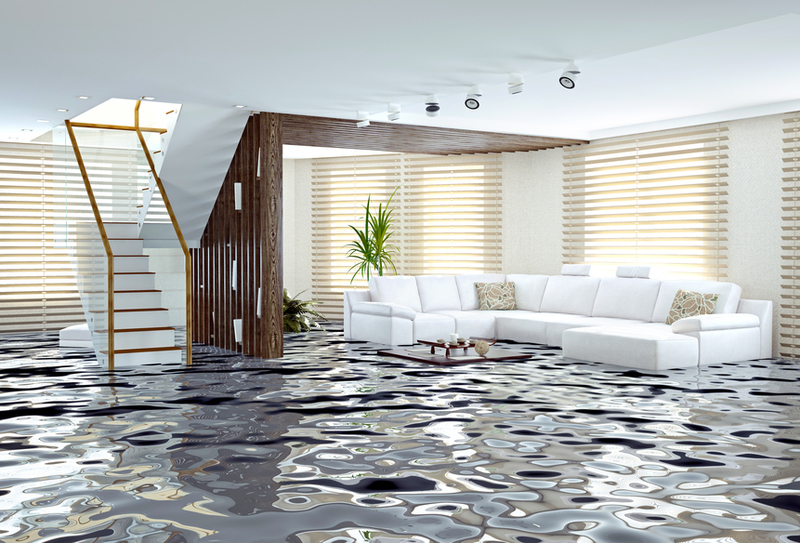 No matter where you live, one of the most common problems that any property owner will face is water damage. Water damage can result from a number of sources, including storm damage, flooding, freezing or improperly sealed pipes or foundations, or even as a result of a fire. It is important to know that in the event of any level of water damage, the longer you wait to contact the professionals at DryAgain Water, Mold and Fire Restoration Services, the more serious your water damage can become. Untreated water damage can lead to problems such as swollen plaster, soft, spongy, or rotting wood, musty odors caused by mold, stained or ruined carpeting and upholstery, and a general devaluation of your property. Let’s face it, nobody wants to inherit your mold problem. The only way to deal with water damage is quickly, by calling the IICRC certified water damage restoration experts at DryAgain Water, Mold and Fire Restoration Services. At DryAgain Water, Mold and Fire Restoration Services we understand that all water damage situations are urgent and we will respond accordingly. We know that the longer your water damage goes untreated, the higher the likelihood that the damage will be irreparable and we are committed to restoring your property to its original pre-loss condition. It will be like it never happened. Signs of water damage include blistering walls or ceilings, soft or buckling floors, discolorations or stains, or fuzzy growths. Other, less visible signs include the musty odor that indicates the colonization of a space by mold and mildew, which can sometimes be hazardous to your health. The trained professionals at DryAgain Water, Mold and Fire Restoration Services know how to assess and restore the damage water has caused to your property, ensuring that there will be no lingering or reoccurring effects. When dealing with floods caused by weather or burst pipes, you can find yourself facing a heavy amount of water introduced into your home or office in a relatively short time and the effects can be devastating. The most crucial factor leading to a full recovery is contacting a professional restoration service as quickly as possible. At DryAgain Water, Mold and Fire Restoration Services we have the equipment and training necessary to remove the excess water and quickly desaturate the area using professional-grade dehumidifiers. Mold can only grow in an environment that has above 45% humidity, but it can appear as quickly as 48 hours after the initial saturation of an area, especially if that area has poor air circulation and very little light. At DryAgain Water, Mold and Fire Restoration Services we know that any amount of delay can be measured in further and sometimes irreparable damage, so our team of experts is on call 24 hours a day, 7 days a week to ensure that you get the highest quality service when you need it most. By arriving quickly to a scene, we can start the process that ends with your complete restoration. The restoration process begins with your phone call or email to our office. After hearing the description of your water damage, we will provide you with a free, no obligation, estimate. We are IICRC certified and educated to deal with all aspects of water damage, including damage caused by fire or resulting in mold. Because we require extensive training in multiple areas of restoration, we are qualified to come up with a plan of action that best suits your individualized need. Once we are on property, we will examine the problem, determining the source and any related problems. In the case of water damage, or fire damage that results in water damage, the presence of harmful chemical compounds, pathogens and allergens may be present. Our team has been trained to safely identify and eradicate these health hazards in a way that permanently neutralizes the threat. We will devise a plan of action that includes removing excess water not only from the structure, but dehumidifying the air to advised levels to prevent further damage by mold. We can also help to determine whether any inventory can be salvaged, or in the case of irreparable damage, we can assist in its removal and the treatment of any affected surfaces. Odor control is often overlooked by first-response teams that are more concerned with dealing with the initial damage, but lingering odors can be a devastating reminder of what has happened, and should not be left behind for you to deal with. In addition to water restoration services, DryAgain Water, Mold and Fire Restoration Services provides mold removal, air duct cleaning, and carpet and upholstery cleaning services, to ensure the most thorough eradication of your problem possible and the complete restoration of your property to its pre-loss state. We will never merely cover up an odor with another, and we won’t use harsh chemicals that can often impact air quality following a poorly-executed restoration. Whether your water damage is caused by something as relatively minor as a leaky pipe join, or as devastating as a Category 3 black water contamination, we have the know-how and equipment to decontaminate and seal all affected surfaces against further damage, preventing the retention of unpleasant odors. There is no job that is too big or too small for the experts at DryAgain Water, Mold and Fire Restoration Services. Our service professionals are all highly trained, continually educated, and licensed, including IICRC certification. That means that we have made the investment in our team, our equipment, and in the future of your home or business. At DryAgain Water, Mold and Fire Restoration Services we have combined decades of experience dealing with many different types of restoration, and we know how they can combine to make a seemingly hopeless task of clean up and restoration. Leave it to us. We can even work together with your insurance adjustors to reduce your out-of-pocket costs, whatever the circumstances. The best advice we have for you is: don’t wait! 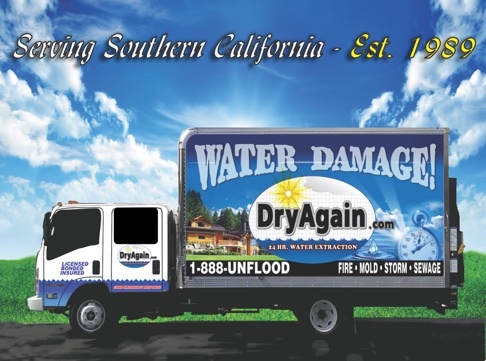 Contact the experts at DryAgain Water, Mold and Fire Restoration Services at the first sign of water damage. The severity of the problem increases hourly, and every wasted moment risks the value of your property. At DryAgain Water, Mold and Fire Restoration Services we are here to help you 24 hours a day, 7 days a week. Don’t wait, call (909) 337-7900 now for your free, no obligation estimate.